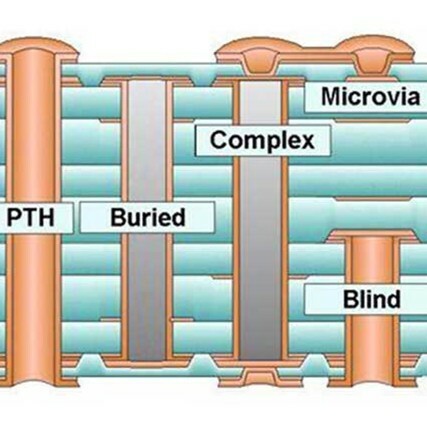 A via is an electrical connection between layers in a physical electronic circuit that goes through the plane of one or more adjacent layers.In printed circuit board design, a via consists of two pads in corresponding positions on different layers of the board, that are electrically connected by a hole through the board. Our ICT Guy here at my company loves to use lots of via holes as test points - via holes which are 0.040" diameter, and spaced at 0.004" edge to edge spacing! He doesn't like to tent the via's either, so I always battle via-to-via shorts at the wave on an almost daily basis. Any knowledgable ICT Engineers out there who know of a probe style that can pierce through tented via's? I am trying to get my company to make a PCB Fab change requirement that all via's used as test points must be tented. I was really confused, and this answered all my qutoiesns. I will keep on reading your sharing. Thats really interesting and helpful. This post is perfect for what I need. Thanks!